Ola! I decided to take a few days off from my beloved blog and sl. Watched some old movies, cleaned my abode and just chilled out a bit, it was much needed from being so busy lately with rl and sl combined. However Evi, who has also been resting as well, has been all dressed up in this fabulous number for many days now! Collabor88 is the place to shop this round, I picked up so many wonderful items like this fabulous Mesh Mullet top from Auxiliary, which is quickly becoming one of my favorite brands. Auxiliary is the combined efforts of Illusory and [Aura], and obviously if you follow my fashion I adore both stores immensely so having both creators combined is amazing. The Timeless Love Skin and the Tiny Tote and Chunky Bracelets are all from Auxiliary, I cannot wait to see what is produced next! Of course that is not all from this wonderful event, I am sporting new LaGyo Jewels and Rose Pumps from [Handverk] (omg I LOVE these shoes!) and the little Backyard Cinema Side Table with candles are also Collabor88 exclusives. 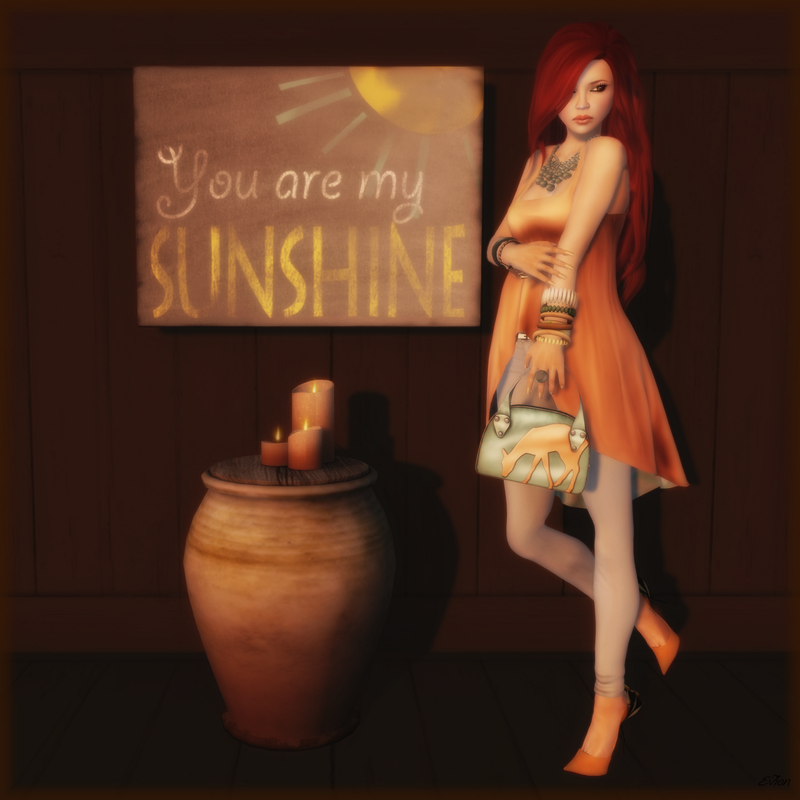 Posted in AnotherDamnSlBlog and tagged as CheekyPea, Collabor88, CrackedMirror, LaGyo, Magika, Mudhoney, Pilot, TheArcade, [AUX], [eyno], [HANDverk], [W+B].